1.1 “Saltings on Porthmeor” is the trading name of Hummingbird Collection Limited. The company is registered in England with Registered Number 9078748 and the Registered Address is: 7 West Stables, Foundry Lane, Hayle, TR27 4DW. Saltings on Porthmeor acts as agent for the owners of the property. The rental arrangements are made by Hummingbird Collection Ltd, on behalf of the Owners and the contractual relationship is directly between the Owners of the property and the Guest. 1.2 Customers renting a property through Saltings on Porthmeor are referred to as ‘the guest’ or ‘you’ and include all persons specified when booking or otherwise occupying the property during the agreed Vacation period. Your holiday will commence at 4 pm on the first day of the rental and end at 09.30am on the day of departure. 3.1 The first 50% of the rental is payable on booking. The balance of 50% of the booking is payable 6 weeks prior to arrival date. 3.2 Due to the high fees charged by the banks we have to add a £5 charge to all payments made by credit card. To avoid this charge please pay by debit, cheque or BACS. Please note that any dishonoured cheques fees, bank transfers or or additional charges raised by the bank will be charged to guest. 3.3 A damage deposit of £500 is payable with the second payment, you can avoid this payment by using a credit or debit card subject to clause 4.3. 3.4 Overseas guests may pay by credit card, Sterling cheque drawn on a UK bank or by telegraphic transfer to Saltings on Porthmeor bank account (details available on request). Any charges arising from overseas transfer will be added to rental payment due. 4.1 We ask you to be as green as possible in using electricity, gas and water, prices for these items are extremely high in Cornwall. Should your use be excessive we will need to impose a surcharge. (Reasonable charges are calculated based on 2 previous years’ meter reading). Internet: WiFi included but we are unable to be responsible for problems arising. Final cleaning: Most guests do spend TLC on The Property to leave it as found. If time is a problem, please concentrate on the kitchen, sink, oven and fridge which would be an enormous help as time can disappear in the blink of an eye. The first 6 hours cleaning is included in the rent; thereafter £15 per hour in Upper and Old Saltings and 2 hours for 22 Piazza. Linen and towels for the number of beds requested for the booking. Phone calls on our landline. Linen in excess of number of guests stated on the booking form. Insurance: If you are booking a holiday, please consider a cancellation insurance which will protect you if needs should arise. Losses and damages: We appreciate that accidents happen, outside of normal wear and tear, as our guest you agree to pay for any losses and damages to the property and content during your stay. This includes additional cleaning and laundry if deemed unsatisfactory upon departure. If paying by credit card or debit card we can save you the trouble of sending a £500 damage deposit. By doing so we reserve the right to charge your card for any damage caused to the property during your stay. Of course we will notify you prior to taking any funds and we will outline the damages with you no later than 7 days after your stay. If you pay by cheque or bank transfer you are required to send a £500 damage deposit at time of balance. If no losses or damages are reported we will refund this in full within 14 days of departure. 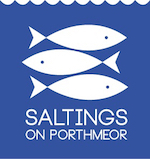 6.1 Once a booking has been confirmed by Saltings on Porthmeor, the booking can only be changed with the written agreement of Saltings on Porthmeor. 6.2 Where Saltings on Porthmeor agree to the change in the dates of your holiday, an administration fee of £100.00 will be added to the full tariff Any increase in the tariff must be paid at time of change. 6.3 If you wish to cancel the booking, you must notify Saltings on Porthmeor in writing (“Cancellation Notice”) prior to the start of the letting. 6.4 Any booking cancelled 12 weeks or more from the start date of your holiday will only incur a fee of 25% of the total booking value. Should you need to cancel between 12 and 6 weeks prior to arrival we will use our best efforts to relet the property, if unsuccessful we will retain the 50% booking deposit. 6.5 Any booking cancelled within the 6 weeks will be liable to the full rental amount. We will of course still use our best efforts to relet the property and if successful we will refund the new rental amount less the £100 administration fee. We are sorry but we do not accept bookings consisting solely of under 21 year olds. The photographs and images Saltings on Porthmeor use in promotional material, may not reflect the current furniture, decoration, or fixtures and fittings, as sometimes we need to replace items within the property. Therefore you may see some changes in décor and contents. 9.2 Not to sell or transfer the booking to another without the written consent of Saltings on Porthmeor. 9.4 To respect the well-being of neighbours and not to cause any annoyance or become a nuisance. None of our properties are suitable for late night parties which are expressly forbidden. 9.5 The Property is a smoke free zone and we ask you and your guests to refrain from smoking. 9.6 To not bring or allow pets into The Property . We carry out weekly inventories to ensure you have everything you need during your stay, if an item is missing please let Saltings on Porthmeor know within 24 hours. 11.3 the signatory agrees to take responsibility for the party occupying the property, and intends to be a member of that party.